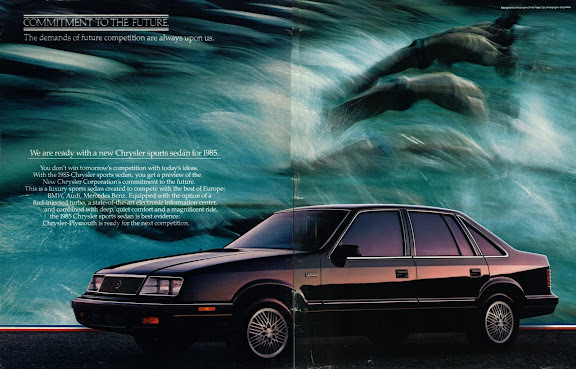 But for now I'll continue the car theme I began Monday with this series of Chrysler ads (RIP). 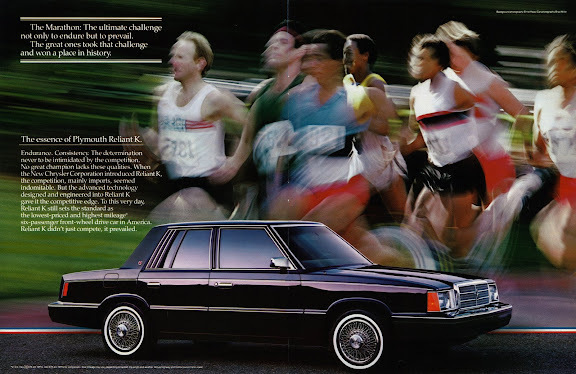 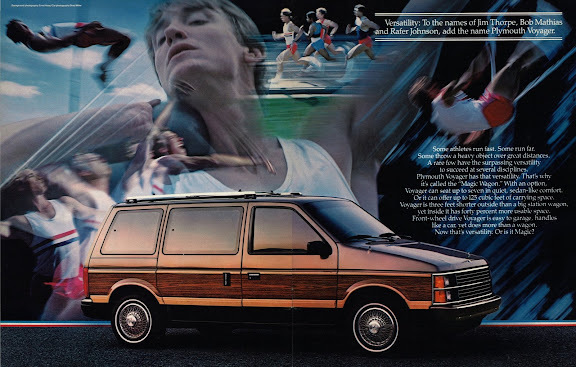 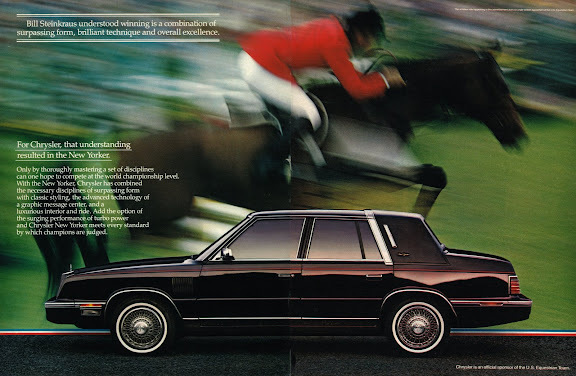 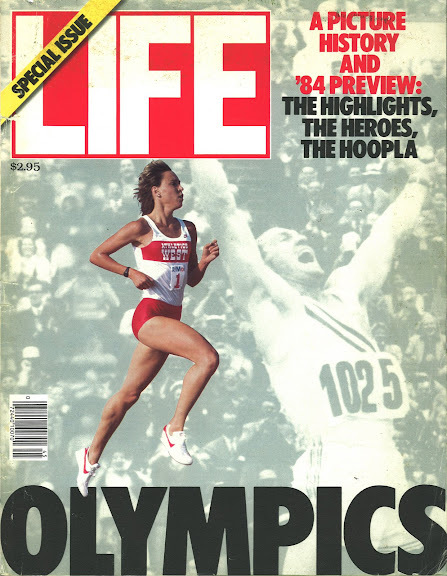 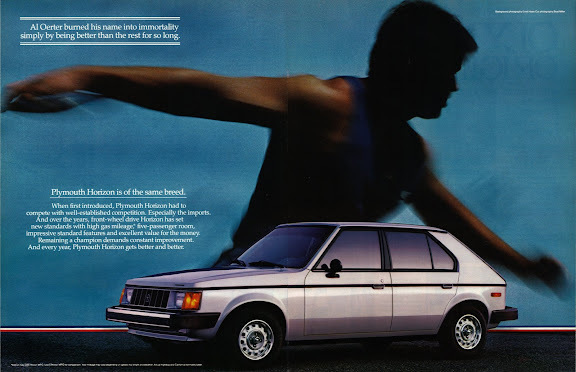 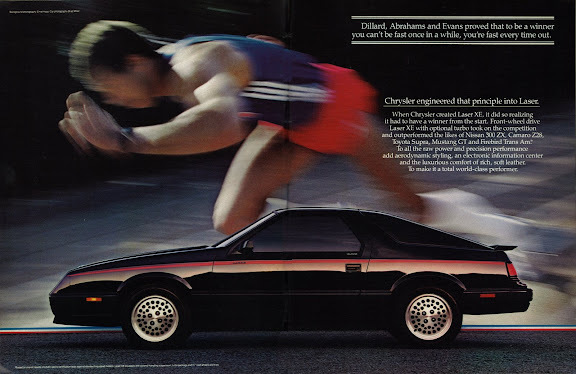 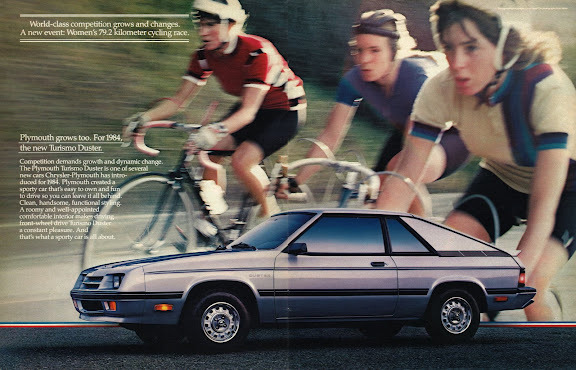 Apparently Chrysler was the official automotive sponsor of the '84 Olympics. 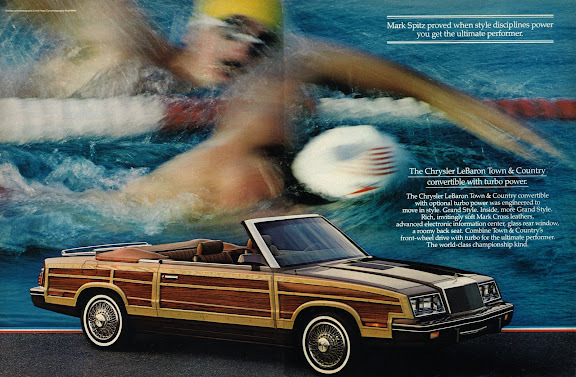 Each of these ads was a 2-page spread in the magazine.